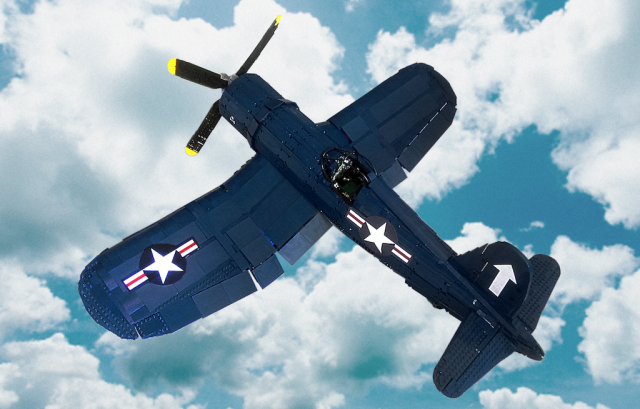 With its distinctive inverted gullwings and gorgeous dark blue color scheme, the Vought F4U Corsair is easily my all-time favorite fighter plane. Produced throughout both World War II and the Korean War, the warplane also has the distinction of having the longest production run of any piston-engined fighter. 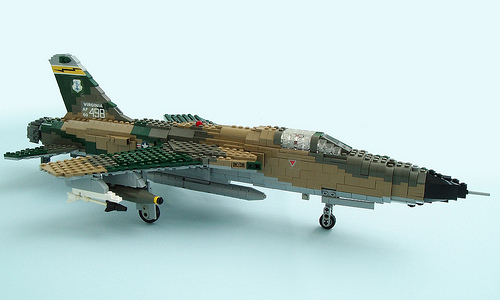 While James Cherry may not be the most prolific LEGO builder — he shared his amazing 1/15-scale LEGO F-14A Tomcat jet fighter exactly two years ago — but each of his creations is well worth the wait. 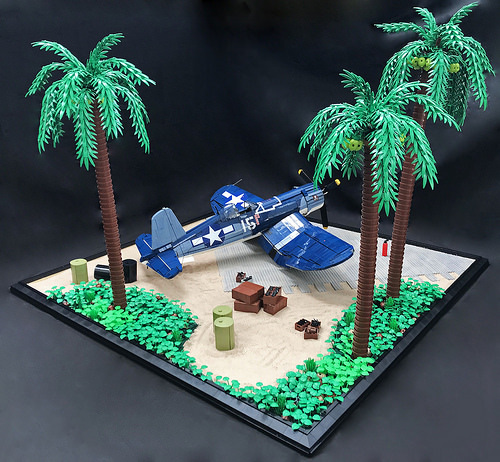 Built to the same scale as the Tomcat, James’s Corsair is deceptively huge; for a better sense of the scale, notice that the palm trees are built from stacked washtubs! 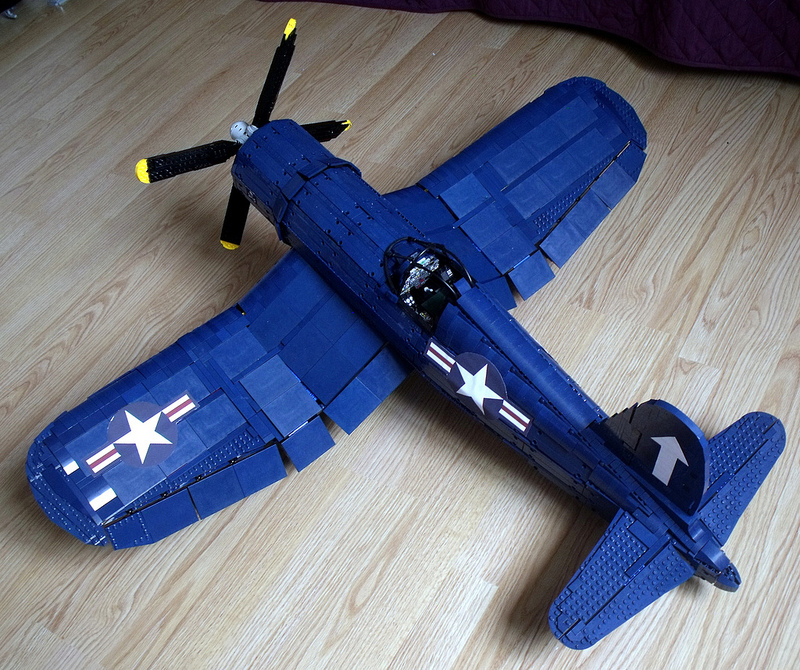 We’ve estimated that this LEGO Corsair has a wingspan of over one hundred studs (over 32 inches or 82 cm), and it’s over 80 studs long from nose to tail (over 26″ / 67 cm). One of the latest and greatest propeller-driven aircraft of WW2 is surely the F4U Corsair. The American fighter is instantly recognizable with its inverted gull wing. Brought to life in LEGO by Patrick MAGO this monster of a model is built at a scale of roughly 1:10. It has a wingspan of 1 meter and weighs in at a hefty 6 kg (13 pounds). It took Patrick approximately 10 months to build the model, and he had to redesign it no less than 3 times during the process to deal with the weight. 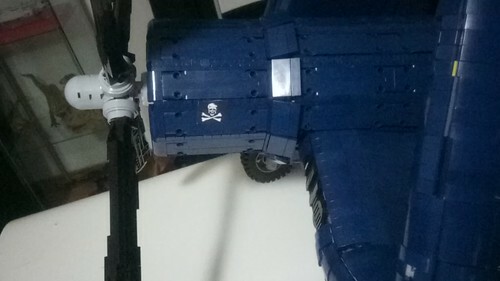 Beyond the structure itself, a big challenge in such a build is the limited selection of dark blue parts available. 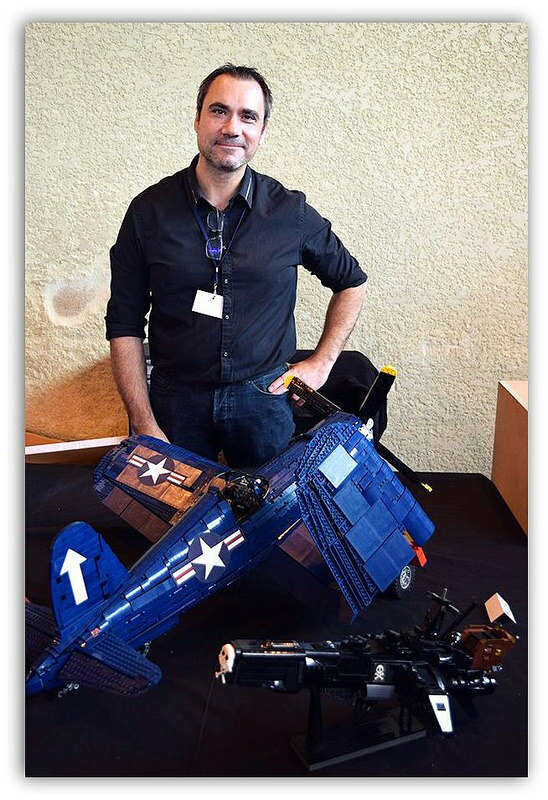 Ralph Savelsberg has now long been known for his beautiful renditions of historic aircraft. His latest does not disappoint and I learned something new today as well. I was not very familiar with the Thunderchief but I have remedied that situation. Quite the impressive plane and quite the impressive build.